The legendary Perth Audi Approved Used event is now on!!! During the event period all our Audi Approved used vehicles benefit from the following exclusive offers. Our stock is constantly updating so click for the latest availabiltiy. 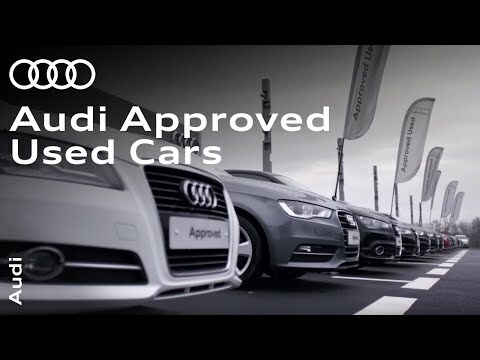 Perth Audi has been providing motorists in Scotland and beyond with an array of products and services relating to the premium German marque since 1970, including Approved Used cars. Each vehicle in our pre-owned range has been carefully selected and tested by our Audi-trained technicians to ensure that it delivers not only value for money but motoring excellence, too. We submit every previously owned car to a rigorous 145-point inspection before we permit its sale. If the vehicle fails on even one aspect of the test, it is only allowed to be sold after being successfully reconditioned using genuine Audi parts. All of our Approved Used cars are supplied with a complete service history too, and mileage is independently verified. You will also receive a minimum 12-month manufacturer warranty, and Audi Roadside Assistance that lasts for at least one calendar year. In addition, we include both MOT and key-protection insurance, providing you with even greater peace of mind. You will benefit from five-day Audi Insurance too – complimentary cover for your new acquisition. Furthermore, every previously owned car that we sell comes with a 30-day (or 1,000-mile) exchange plan. This means that in the unlikely event that your vehicle develops a fault, we will offer you a like-for-like vehicle as an exchange. Take the time to explore our Approved Used Audi range below, and if you see a model that interests you, don’t hesitate to contact us to book a test drive. ǂ7.9% APR Representative on Solutions PCP or 10.9% APR on VWFS Hire Purchase Agreement. ⁺Deposit contributions are available when funded through Volkswagen Financial Services (VWFS) Solutions Personal Contract Plan or Hire Purchase Agreement. Deposit contributions available on the following models £300 on A1, £500 on A3, £300 on Q2, £500 on Q3, £1000 on Q5, £1000 on A4, A5, A6, £3500 on A7 and £5000 on A8.18s+. Subject to availability and status. Terms and conditions apply. Offer available when ordered before 30th Arpril 2019 from participating Centres. All vehicles must be delivered with the finance paid out on or before 30th April 2019. Only available on Audis up to 12 months old, registered on or after 1st March 2019 and more than 10 days old. Indemnities may be required. Offers are not available in conjunction with any other offer and may be varied or withdrawn at any time. Excludes S and RS models, accurate at time of publication April 2019. *Service plan covers next two scheduled services (limited to 1x Minor Service and 1x Major Service). Any other work outside this service schedule, including normal wear and tear, is not included in the plan. Terms and conditions apply. Available to 18s and over. Offer available for vehicles purchased between 1st April and 30th April 2019 from participating Centres on VWFS Solutions Personal Contract Plan or Hire Purchase Agreement. Further charges may be payable if vehicle is returned. Offers are not available in conjunction with any other offer and may be varied or withdrawn at any time. Excess mileage charges apply. Subject to availability. Finance subject to status. Accurate at time of publication April 2019. Freepost Audi Financial Services.